The objective of this study is determination the volatile compounds of Matricaria chamomilla of an inorganic–organic hybrid material based on ZnO nanoparticles anchored to a composite made from polythiophene and hexagonally ordered silica (ZnO/PT/SBA-15) as a solid-phase fiber microextraction (SPME). Microextraction techniques with nanoparticles ZnO/PT/SBA-15 resulted in a more efficient analyte enrichment, faster sample preparation, and lower solvent consumption. Furthermore, they are simple, inexpensive, environmentally friendly, and compatible with many analytical instruments. Using ZnO/PT/SBA-15 followed by GC–MS, 37 compounds were separated and identified in Matricaria chamomilla, which mainly included α-bisabolol(17.51%), Cis-trans-farneso(8.72%), β-bisabolene(8.37%), E-β–Farnesene(5.48%) Guaiazulene(4.36%), α-Pinene(3.68%) and Limonene(3.24%). The presented experimental results clearly demonstrate that prepared fibers are suitable for SPME analyses of volatile oils. For optimization of the microextraction conditions by the ZnO/PT/SBA-15 SPME fiber, a one at the time optimization strategy was used. The optimized parameters were sample state and its amount, extraction temperature and time and finally desorption conditions. Matricaria chamomilla L. (syn:M. recutitaL. ; German chamomile) resides in the Asteraceae (Compositae) family and is one of the most widely used medicinal plants in the world . It has a long history of application in herbal medicine dating back to ancient Greece and Rome where it was referenced by Hippocrates, Galen and Asclepius . The plant is an annual herb with erect branching and finely divided leaves growing between 50–90 cm tall. The flowers are daisy-like, with hollow conical yellowish centre surrounded by silver-white to cream colored florets. M. chamomilla is a safe plant used in different commercially available forms such as tea, infusion, liquid and capsules in human nutrition. It has a stable natural monocyclic sesquiterpene alcohol named α-bisabolol as the main component (high molar mass of 222.4 g/mol and a high boiling point of 153 °C at 12 mm Hg), so the plant essential oil has a long shelf life of 6 to 24 months. As well as the high stability and safety, the plant has no proven potentially toxic compound, and therefore, no acute toxicity for human and animals. A diverse range of pharmacological actions has been recognized for the plant including antimicrobial, anti-inflam-matory, antioxidant, antispasmodic, antiviral, craminative, sedative and antiseptic properties. Potentially active chemical constituents of M. chamomillaincluding terpenoids, flavonoids, coumarins, and spiroethers are believed to be responsible in part for such a wide range of biological activities [4, 5]. The solid-phase microextraction (SPME) technique uses a polymer-coated microfiber to concentrate organic analytes from sample phases. SPME has become a common analytical tool, as it allows sensitive analysis, reduced matrix interference, minimal solvent use, and full automation of the analytical procedure. In addition, because the fiber typically extracts only a small amount of analytes from the sample, the SPME technique can be used to measure the freely dissolved concentration (equivalent to the fugacity or the activity, depending on the reference phase chosen) of analytes in different matrices . Manyrecent research activities on SPME have been focused on the preparation and characterization of new sorbents with a remarkable chemical and mechanical stability, enhanced sensitivity and selectivity for specified analytes. Also, new materials such as organic–inorganic nanocomposites and nanomaterials have been synthesized and used as fiber coatings [7, 8]. ZnO nanomaterials have attracted much attention due to their importance in basic scientific research and their potential in manufacturing nanodevices . Up to now, many nanodevices using ZnO nanostructures have been reported including nanolasers , solar cells , ultraviolet photodetectors , gas sensors, light emitting diodes , field-emission devices , and so on. Among the applications, gas sensors are different from the others. Gas sensors are based on good gas adsorption properties caused by the high surface to volume ratio of ZnO nanostructures. As gas adsorption materials, their application is not limited to the gas sensors. However, few applications, except gas sensors, have been reported based on the gas adsorption properties of ZnO nanostructures . In this paper, an inorganic–organic hybrid material is synthesized based on ZnO nanoparticles anchored to a composite made from polythiophene and hexagonally ordered silica. This newly synthesized material is then used as a fiber coating for SPME onto the stainless steel wires for fast determination of volatile compounds ofMatricaria chamomilla . The aerial parts of Matricaria chamomilla were gathered during the flowering period in summer 2015 from pave in the North West of Iran. The aerial parts were dried in the shade (at room temperature). A voucher specimen was deposited at the chemistry herbarium of this laboratory under the code 1015 MC. Poly (ethylene glycol)-block-poly (propylene glycol)-blockpoly (ethylene glycol) (EO20–PO70–EO20 or Pluronic P123) as a surfactant was purchased from Sigma (Buchs, Switzerland, www.sigmaaldrich.com). Zn(Ac)2, Li(OH)· H2O, Methylene chloride, thiophene monomers, and all chemical solvents were obtained from the Fluka (Buchs, Switzerland, www. sigmaaldrich.com) or Merck (Darmstadt, Germany, www. merck.de) companies. The working solutions of the mentioned compounds were prepared by diluting the stock solution with methanol, and more diluted working solutions were prepared daily by diluting these solutions with deionized water. All solvents used in this study were of analytical reagent grade. 100 gr of air-dried aerial parts of Matricaria chamomilla was ground to a fine powder, and then put into a 1000 ml distillation flask. 500 ml of distilled water was added and subjected to hydrodistillation for 2 h, using a Clevenger-type apparatus as recommended by British Pharmacopeia. Oil was collected from the condenser, and dried over anhydrous sodium sulfate. The yield of the sample was about 0.27% based on dry weight of the sample. The obtained essential oil was stored at 4 ˚C until analysis by GC–MS. A Hewlett-Packard Agilent 7890A series GC equipped with a split/splitless injector and an Agilent 5975C mass-selective (Agilent Technologies, Palo Alto, CA, USA, http://www. agilent.com/chem) detector system were used for determination. The MS was operated in the EI mode (70 eV). Helium (99.999 %) was employed as a carrier gas, and its flow-rate was adjusted to 1 mL/ min. The column was held at 50 °C and increased to 180 °C at a rate of 15 °C/ min and then raised to 260 °C at 20 °C/ min and kept at this temperature for 5 min. The injector temperature was set at 260 °C, and all injections were carried out on the splitless mode for 2 min. The GC–MS interface, ion source and quadrupole temperatures were set at 280, 230 and 150 °C, respectively. Compounds were identified using the Wiley 7 N (Wiley, New York, NY, USA) Mass Spectral Library. A homemade SPME device was used for holding and injection of the fabricated fiber into the GC–MS injection port. The commercial SPME device was purchased from Supelco (Bellefonte, PA, USA). The fiber was conditioned in the injection port of a GC for 1 h.
The ZnO/PT/SBA-15 nanocomposite was synthesized following the procedures described elsewhere (17). Highly ordered mesoporous SBA-15 was synthesized using a procedure reported by Zhao and co-workers (18). SBA-15 was thermally treated at 120 °C in a vacuum oven to remove the physically adsorbed water. Then, 0.50 g SBA- 15 was immersed into a mixture of 10 ml methylene chloride and 5 ml thiophene monomers. The mixture was sonicated at ambient temperature for 1 h. When the methylene chloride and unadsorbed thiophene were slowly evaporated at 30 °C for 24 h under a vacuum oven, the mixture was added to a solution of H2O/ethanol (volume ratio: 5/1) which contained 5 ml 30 % hydrogen peroxide aqueous solution and 4 mg FeCl3. The polymerization proceeded under nitrogen atmosphere and pH=2 for over 12 h at 50 °C. The remained product was directly precipitated into vigorously stirred methanol (six volumes), then filtered off and washed with methanol several times, and eventually dried under vacuum at 50 °C for 12 h to remove the physically adsorbed water molecules(19). The PT/SBA-15 nanocomposite was directly immersed in Zn(Ac)2/ethanol solution through sonication in order to adsorb Zn2+ adequately, and then, Li(OH) aqueous solution was added to form ZnO nanoparticles, and the ZnO/PT/SBA-15 composite was successfully prepared (20). To prepare the SPME fiber, a piece of stainless steel wire with a 200-μm diameter was twice cleaned with methanol in an ultrasonic bath for 20 min and dried at 70 °C. One centimeter of the wire was limed with epoxy glue and the ZnO/PT/SBA-15 nanocomposite was immobilized onto the wire. The coated wire was heated to 50 °C for 48 h in an oven, gently scrubbed to remove non-bonded particles and assembled to the SPME holder device. Finally, prepared SPME fiber was inserted into the GC injection port to be cleaned and conditioned at 260 °C for 1 h in a helium environment. The thickness of the uniform coating layer was calculated from the difference between the coated and uncoated stainless steel wire and come out to be about 20 μm. The headspace solid phase microextraction (HS-SPME) procedure SPME was performed with the prepared nanocomposite fiber, mounted in its SPME device. The extraction temperature was controlled using a thermo stated oil bath (15). This study evaluates the reliability of SPME inorganic–organic hybrid material based on ZnO nanoparticles anchored to a composite made from polythiophene and hexagonally ordered silica (ZnO/PT/SBA-15) fiber for extraction of the volatile compounds from the headspace of Matricaria chamomilla that was heated in the absence of any solvent. It is well-documented that the extraction ability of a fiber is strongly influenced by the mass transfer from the matrix to the vapour phase that conditions headspace composition and the mass transfer from the vapour phase to the fiber coating. It is therefore reasonable to evaluate the effect of parameters affecting these equilibrium conditions, because the equilibrium for all components of a complex matrix, as a medicinal or aromatic plant, can be very difficult to achieve because of their different volatility and polarity. For optimization of the microextraction conditions by the ZnO/PT/SBA-15 SPME fiber, a one at the time optimization strategy was used. The optimized parameters were sample state and its amount, extraction temperature and time, and finally desorption conditions. The extraction temperature was varied from 30 to 90 ◦C and the results are shown in Fig. 1. It was found that either the total peak areas or the individual peak areas is increased with the temperature up to 80◦C and then leveled off. The extraction temperature had a significant influence on the extraction because it can influence on the distribution coefficients of the compounds between the sample and the headspace and between the headspace and the fiber. From these results, the temperature of 80 ◦C was finally used for the present work. The extraction time varying from 15 to 50 min was investigated and the results are shown in Fig. 2. The profile for the total and individual peaks area shows highest peak area at 40 min for the target compounds. Longer extraction times have no effect on the extraction efficiency. Generally, signals of analytes increase with the sample amount but too large amount of the sample will affect extraction efficiency. On the other hand, this does not mean that the larger the sample amount, the better the results. In the present work, the sample amount varied from 0.5 to 3.5 g and the results of the effects of sample amount on the total peak areas and the individual peak areas of the four compounds are shown in Fig. 3. Just as expected, the total and individual peak areas increased with sample amount up to 2.5 g and then leveled off at sample amount greater than 2.5 g.
The effect of humidity was studied by the addition of different amounts of water to the samples in the optimized conditions. The results are shown in Fig. 4 for the four compounds. From these results, it can be concluded that the presence of water vapour in the headspace atmosphere decreases the total and individual peak areas in agreement with the previous reports. It means that the water molecules can deactivate the fiber surface by blocking the active sites; therefore, the proposed fiber is a good adsorptive fiber for sampling from the dried samples. The following step in the optimization process was to select the optimum desorption conditions. There were determined by testing different temperatures and times, considering the optimum values. For the ZnO/PT/SBA-15 SPME fiber, desorption temperatures ranged between 200 ◦C and 290 ◦C (Fig. 5). The time of desorption was also optimized, varying between 30 and 220 s (Fig. 6). Stabilization of the chromatograms was observed, and reproducible peak areas were obtained for the sample using desorption time of 180 s at 280 ◦C. These values of temperature and desorption time were selected for the subsequent studies. The optimized SPME conditions were applied to the extraction and concentration of the volatile constituents in Matricaria chamomilla. The chemical volatile components in Matricaria chamomilla were identified by mass spectra library and retention indices. Thirty-seven components were identified, and are listed in Table 1. To obtain the method precision, three replicate analyses of the volatile components inMatricaria chamomilla were performed by SPME at the optimum conditions. The RSD values were calculated by the peak areas obtained by replicate analyses (Table 1). As seen in Table 1, RSD values less than 13% show that SPME has an acceptance precision. Thirty-seven compounds were identified in Matricaria chamomilla using the ZnO/PT/SBA-15 nanocomposite SPME fiber. Compared with conventional HD method, SPME is a simple, rapid, solvent-free and efficient method for the analysis of essential oils in Matricaria chamomilla. The proposed method is environmentally friendly, because no toxic solvent is used and thus there is no solvent peak in the chromatogram. The presented experimental results clearly demonstrate that prepared fibers are suitable for SPME analyses of volatile oils. 1. Salamon I. Chamomile: a medicinal plant. The Herb, spice and medicinal plant digest. 1992. 2. Rolf Franke HS. Industrial Profiles (Medicinal and Aromatic Plants). Boca Raton, FL, USA: CRC Press; 2005. 3. Bradley P. The British Herbal Compendium: v. 1: A Handbook of Scientific Information on Widely Used Plant Drugs1993. 4. Newall C, Anderson LA, Phillipson JD. The Pharmaceutical Press. London; 1996. 5. Tolouee M, Alinezhad S, Saberi R, Eslamifar A, Zad SJ, Jaimand K, et al. Effect of Matricaria chamomilla L. flower essential oil on the growth and ultrastructure of Aspergillus niger van Tieghem. International Journal of Food Microbiology. 2010;139(3):127-33. 6. Endo S, Droge STJ, Goss K-U. Polyparameter Linear Free Energy Models for Polyacrylate Fiber−Water Partition Coefficients to Evaluate the Efficiency of Solid-Phase Microextraction. Analytical Chemistry. 2011;83(4):1394-400. 7. Gholivand MB, Abolghasemi MM, Fattahpour P. Polypyrrole/hexagonally ordered silica nanocomposite as a novel fiber coating for solid-phase microextraction. Analytica Chimica Acta. 2011;704(1-2):174-9. 8. Sarafraz-Yazdi A, Ghaemi F, Amiri A. Comparative study of the sol–gel based solid phase microextraction fibers in extraction of naphthalene, fluorene, anthracene and phenanthrene from saffron samples extractants. Microchimica Acta. 2011;176(3-4):317-25. 9. Huang MH, Mao S, Feick H, Yan H, Wu Y, Kind H, et al. Room-Temperature Ultraviolet Nanowire Nanolasers. Science. 2001; 292(5523): 1897. 10. Law M, Greene LE, Johnson JC, Saykally R, Yang P. Nanowire dye-sensitized solar cells. Nature Materials. 2005;4(6):455-9. 11. Arnold MS, Avouris P, Pan ZW, Wang ZL. Field-Effect Transistors Based on Single Semiconducting Oxide Nanobelts. The Journal of Physical Chemistry B. 2003;107(3):659-63. 12. Wan Q, Li QH, Chen YJ, Wang TH, He XL, Li JP, et al. Fabrication and ethanol sensing characteristics of ZnO nanowire gas sensors. Applied Physics Letters. 2004;84(18):3654-6. 13. Jeong M-C, Oh B-Y, Ham M-H, Myoung J-M. Electroluminescence from ZnO nanowires in n-ZnO film/ZnO nanowire array/p-GaN film heterojunction light-emitting diodes. Applied Physics Letters. 2006;88(20):202105. 14. Xu CX, Sun XW, Chen BJ. Field emission from gallium-doped zinc oxide nanofiber array. Applied Physics Letters. 2004;84(9):1540-2. 15. Abolghasemi MM, Yousefi V, Hazizadeh B. An inorganic–organic hybrid material based on ZnO nanoparticles anchored to a composite made from polythiophene and hexagonally ordered silica for use in solid-phase fiber microextraction of PAHs. Microchimica Acta. 2014;181(5-6):639-45. 16. Piryaei M, Abolghasemi MM, Nazemiyeh H. Fast determination ofZiziphora tenuiorL. essential oil by inorganic–organic hybrid material based on ZnO nanoparticles anchored to a composite made from polythiophene and hexagonally ordered silica. Natural Product Research. 2014;29(9):833-7. 17. Zhang B, Chen X, Ma S, Chen Y, Yang J, Zhang M. The enhancement of photoresponse of an ordered inorganic–organic hybrid architecture by increasing interfacial contacts. Nanotechnology. 2010;21(6):065304. 18. Zhao D, Feng J, Huo Q, Melosh N, Fredrickson GH, Chmelka BF, et al. Triblock Copolymer Syntheses of Mesoporous Silica with Periodic 50 to 300 Angstrom Pores. Science. 1998; 279(5350): 548. 19. Lee SJ, Lee JM, Cheong IW, Lee H, Kim JH. A facile route of polythiophene nanoparticles via Fe3+-catalyzed oxidative polymerization in aqueous medium. 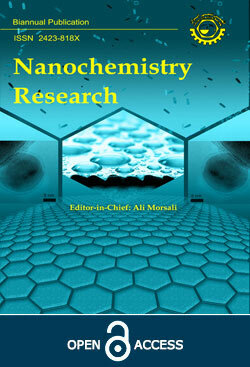 Journal of Polymer Science Part A: Polymer Chemistry. 2008;46(6):2097-107. 20. Vietmeyer F, Seger B, Kamat PV. Anchoring ZnO Particles on Functionalized Single Wall Carbon Nanotubes. Excited State Interactions and Charge Collection. Advanced Materials. 2007;19(19):2935-40.